When I'm at home, I have a tendency to mooch between 2pm and 3pm. It's my 'nothing hour' where I am at my least productive. After a busy morning and then a quick lunch, all my 'get up and go' suddenly gets up and goes. I suppose I'm also clock watching until the school run. I wonder if it's a seasonal thing or the natural ebb and flow of daily energy levels? Do you have a 'nothing hour'? Number 1. 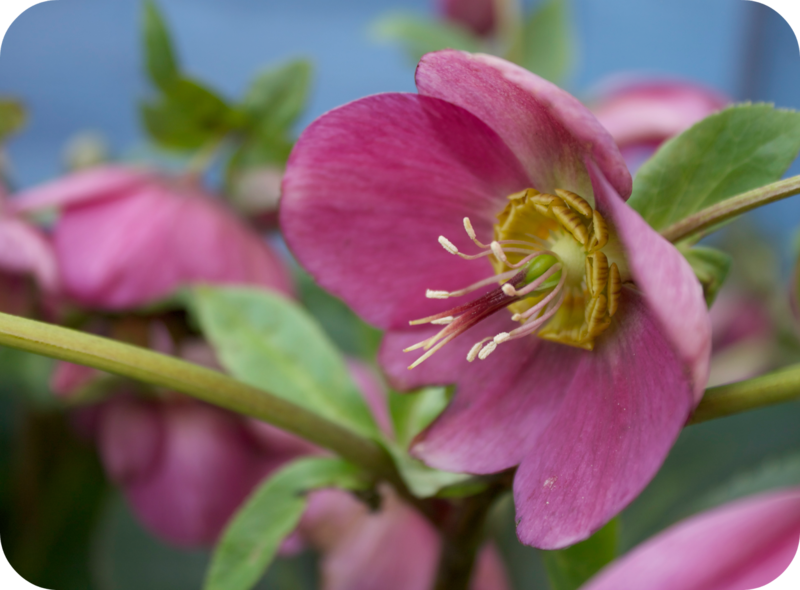 Aah, my wonderful Hellebores. I have a large tumble of them this year. Without fail, they're the first plant to flower in the garden and they seem to thrive on neglect. Quite camera shy though with their pretty downturned faces. This is the first year I've not picked any. They seem to pop their clogs within 24 hours if I take them inside. Number 2 is my spring bulbs. 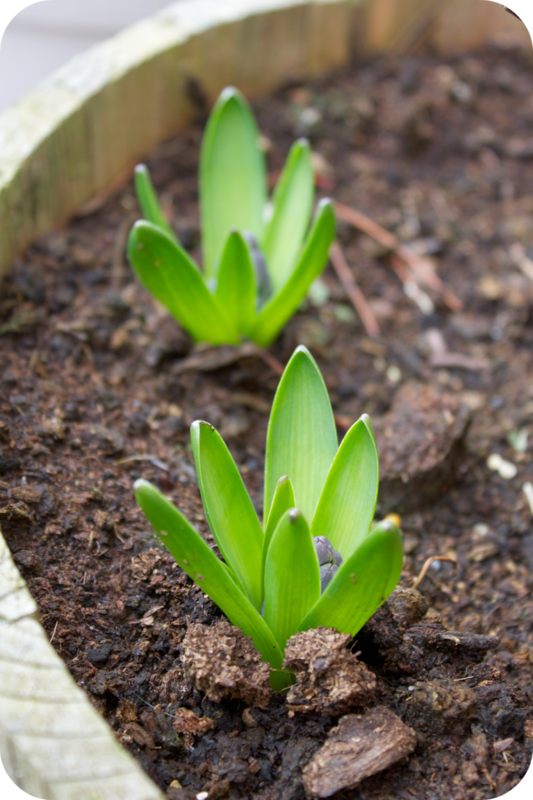 Green shoots are appearing and my bulbs are all sprouting. I am a great one for popping bulbs here and there, in random places, at random times of the year. It's always a nice surprise when they grow. 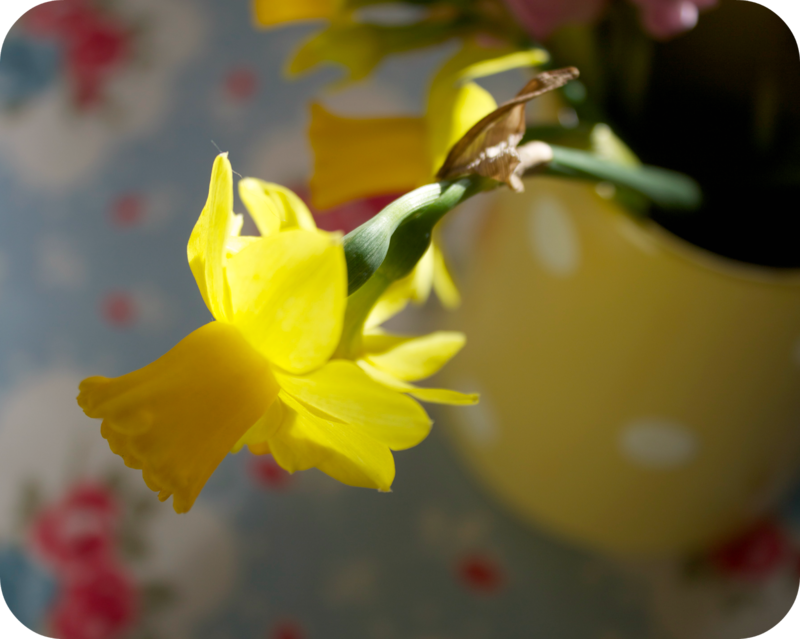 I overwintered these mini daffodils in the garage, sort of accidentally, and they're already flowering. See how this little chap is craning his slender neck to reach the shaft of sunlight. Sweet. Number 3 is not very photogenic and keeps steaming up my camera lens but is my homemade chicken stock. It's been cooking nearly all day and is now cooling on the side in the kitchen. It's delicious aroma has spread throughout the entire house. I adore the smell of homemade stock. We're having a leek and parmesan risotto for supper tonight. 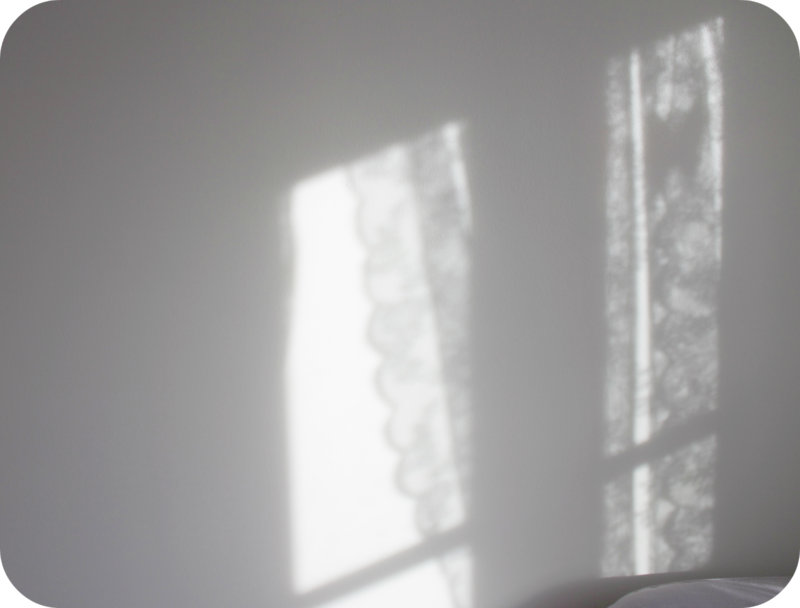 The pretty shadows on my lounge wall will have to be my number 5. Oh look. Yes, that's definitely my number 6 pleasure. 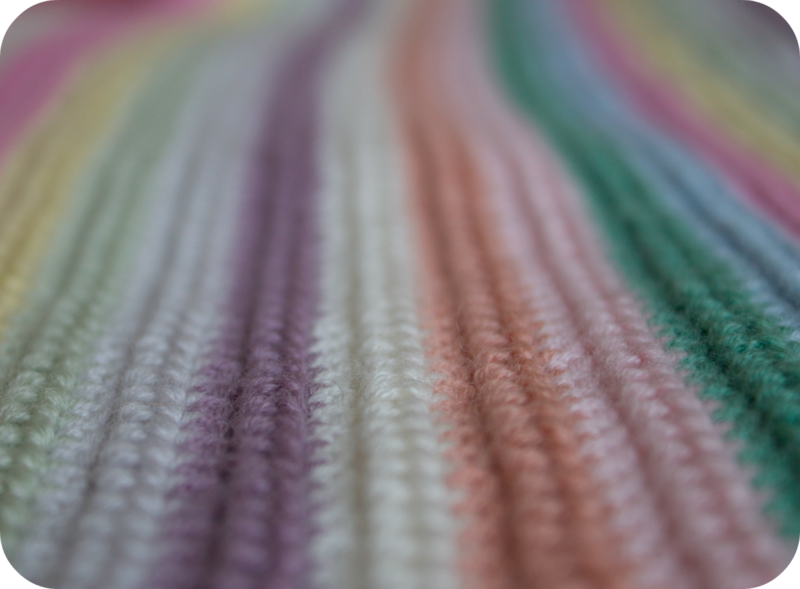 My spring stripes, sitting there, all neatly rolled up, patiently waiting … See how I'm sticking to my sewing-in-ends-as-I-go resolution too? After the glimpse in my last post, I completed quite a few more rows but wasn't thrilled with the colours. Something was bugging me. It wasn't looking soft enough. I ended up unravelling it and taking out a strong orangey/coral stripe and, feeling happier, carrying on. I'm now wondering if that blue/green is jumping out too much? What about the purple? Oh poo bags. I'm over-thinking it now, aren't I? Let me lie it down on my bed for a better look. There. My six simple pleasures. As it happens, today's 'nothing hour' turned into a very pleasurable hour indeed. You're lucky to have a nothing hour. I love Hellebores and that yellow in your bathroom is very cheery. I always seem to have a slump in energy levels between 3pm - 4pm. I tend to have a sit down with a coffee and a bit of chocolate and that perks me up again otherwise I could be snoozing in the armchair! I am in awe of your photography skill, those pictures are nothing short of stunning. So glad I popped by, so much delicious eye candy. The spring stripes are yummy! I think that is a very productive nothing hour! I love proper risotto and well done for making the stock. I love that deep green colour in the blanket. in fact I bought some today and promptly dropped that colour which was my absolute favourite in the gutter as I was putting them in the car! I had to go back and buy another ball as well as coming home and putting it through the washing machine. Fingers crossed it will have survived. I was always the same when doing the school run. You don't want to start anything new when you'll have to go out soon. 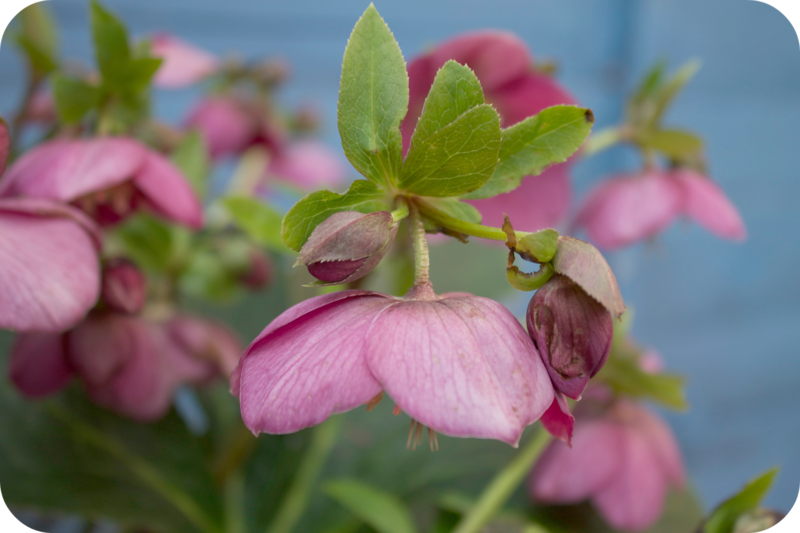 Your hellebores are pretty. Have you tried floating the flowers in a bowl of water. They last quite a few days and look lovely. Gorgeous, gorgeous spring stripes. Colours are perfect. 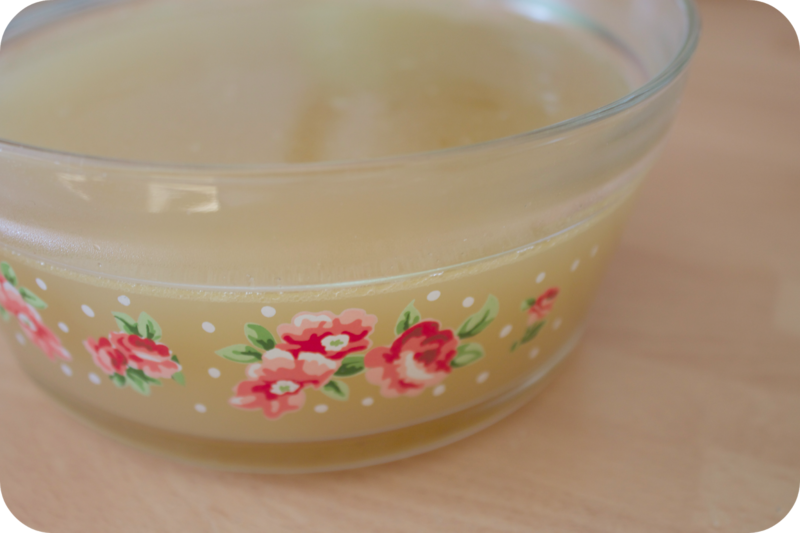 Loved this post, Spring has Sprung here too, and nothing better than home made chicken stock. Yes it is the body's natural ebb and flow or circadian rhythm, very important to listen to your body, especially when it is telling you to crochet!! 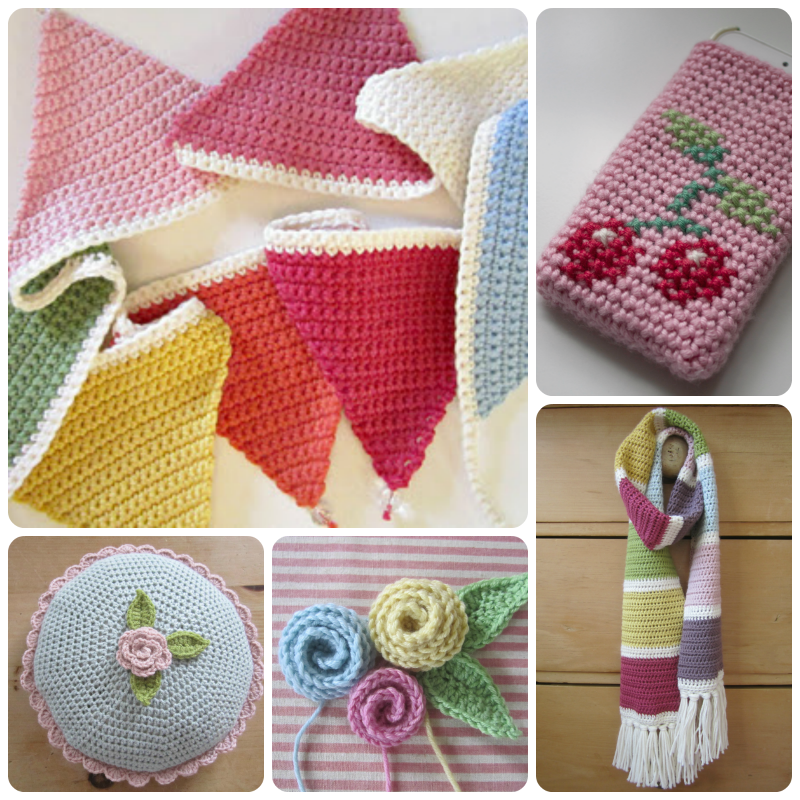 Your blog and your crochet is beautiful, such lovely spring colours. Well, if I don't keep busy that can often turn into my 'desperately trying to stay awake' hour, so I generally try to find something to do. I like your way of spending it though, lovely pleasures indeed! SNAP! My'nothing' hour is exactly the same as yours, and it's for the same reason - school run. I always feel as though it's not worth starting something in case I can't finish it. 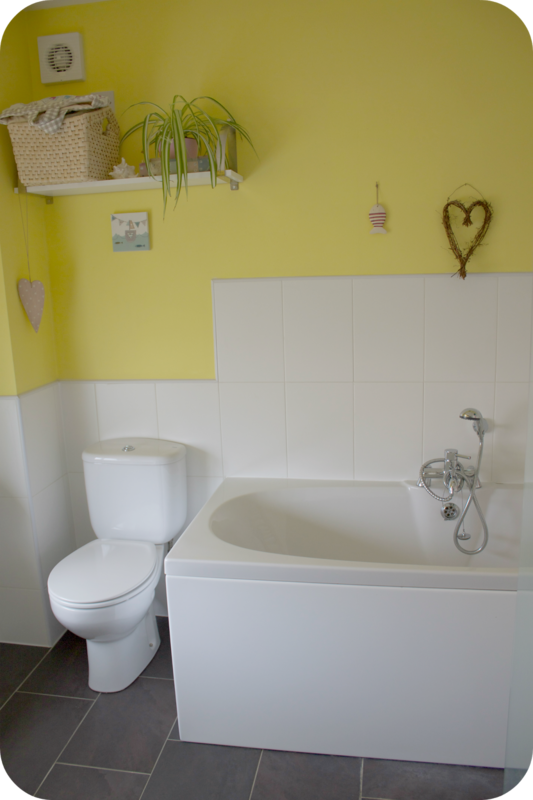 I have to say your en-suite is gleaming, so obviously that was a very productive and well done job! A lovely post, Heather. 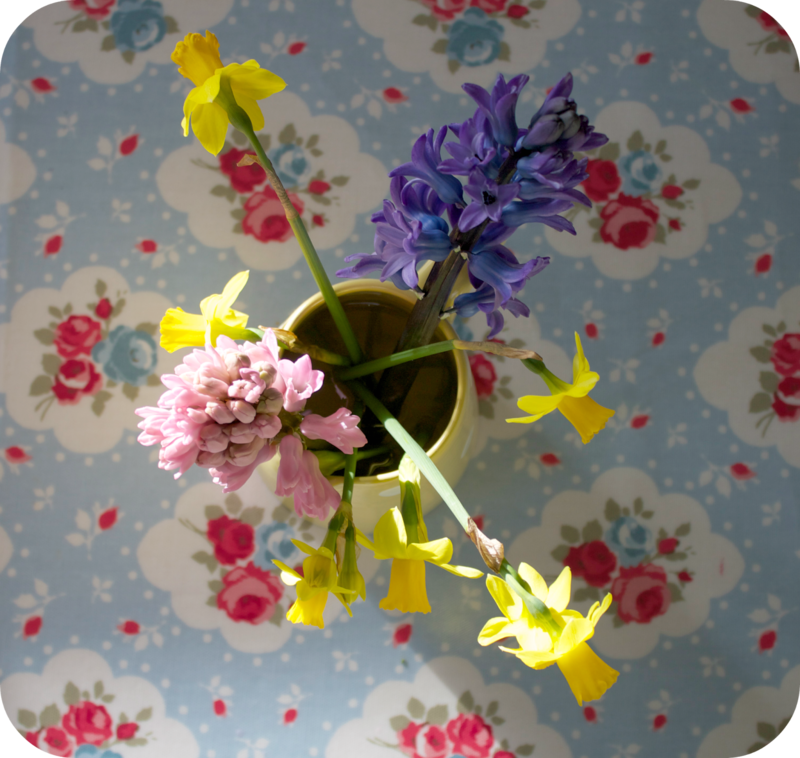 Your photos are a delight and the colours of your new blanket are perfect and so spring like. The hour before school pick up used to be exactly the same for me, you don't want to get too involved in a crafty project when you have to break off! Your idea of how to spend that time here was a wonderful one! that was definitely an hour well spent....lovely! What a lovely way to spend your hour!! I love the softness of your scarf and how the colours blend together. I usually study whilst my little one is having a siesta and before the school pick up. I find that the house is very peaceful at that point. Have a lovely rest of the week. By the way, your flowery bowl is very pretty, what a nice find!! 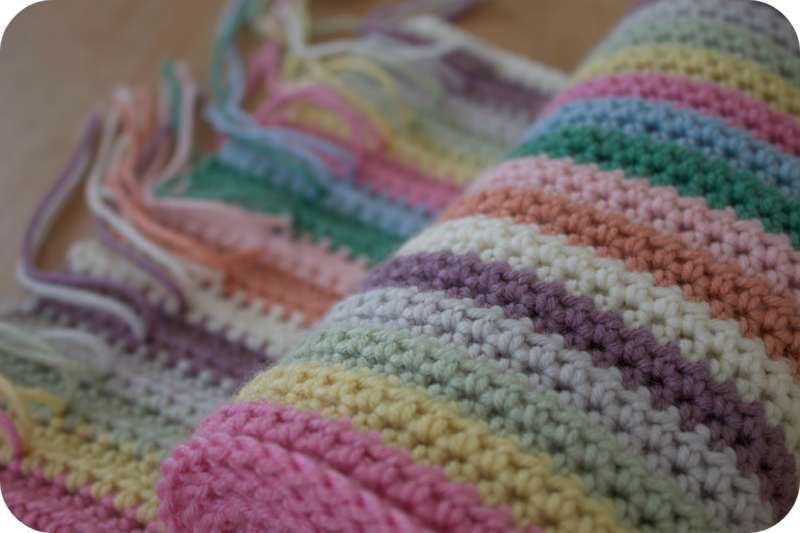 Your stripy blanket is lovely, the colours are perfect - try not to think about it anymore and go for it, it's going to be gorgeous. I don't mind cleaning the bathroom, it's the shower that I hate, but it's immensely satisfying when it's done. Leek and parmesan risotto sounds yummy. Have a lovely weekend. 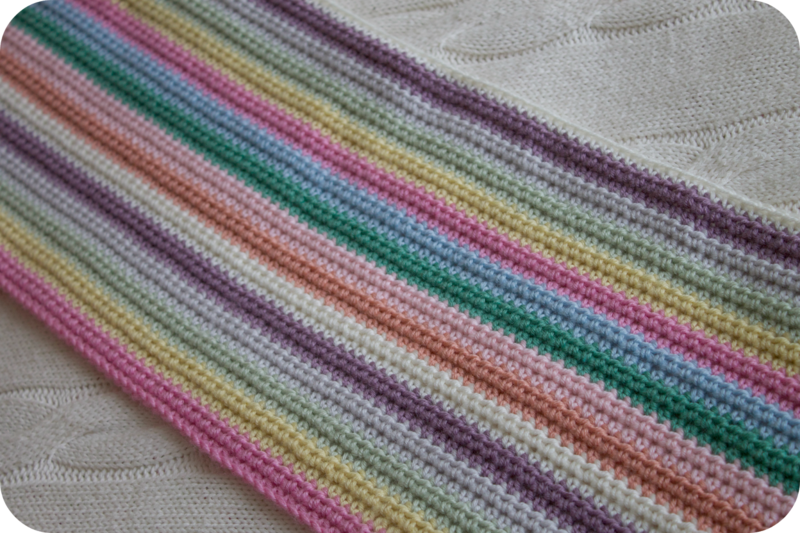 Loving the candy coloured stripes, just beautiful Heather! Enjoy the coming of Spring!